We are aware that several Meeting Houses recently have come under pressure to cancel events/ speakers who speak out about the politics and actions of the State of Israel, Zionism and/or the rights of the Palestinian people. Accusations of anti-Semitism or even of such meetings being “illegal” have been levelled at Meetings which accept such bookings. Objections are sometimes sent at the last minute, so that Meeting Houses do not have time to think clearly or consult. We are concerned that such objections are being increasingly used to silence freedom of speech. See a copy of hirer’s organisational aims and objectives, to check that they are in line with Quaker values. 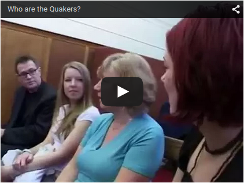 Consider allowing the event to go ahead with Quaker observers present. The definition is then followed by a list examples to illustrate anti-Semitism. However, some of the examples are specious. IHRA itself calls the definition “a non- legally binding working definition”. The definition has been adopted by the current British government. It may be cited by those raising objections to bookings. It does nothave statutory power. The definition lacks clarity and does not provide a clear criterion by which to assess for anti-Semitic conduct; i.e.to assess if it the conduct manifests hatred towards Jews. The “examples” are misleading. Some of the given “examples” are obvious and uncontroversial “hatred towards Jews” and are therefore unlawful. However, others are not e.g. criticism of the State or Government of Israel. Events which criticize the actions of the State of Israel or the treatment of Palestinians are lawful expressions of political opinion. The organizers of such events should not be required to justify the events or to prove that they are not motivated by antisemitism and should not be subject to special restrictions or conditions. The fact that speech is offensive to a group is not in law, of itself, a proper ground for prohibition or sanction. Conduct which is “contrary” to the IHRA definition could not, of itself, render that conduct “illegal” in any sense.